Hertz Furniture, premier school and office furniture supplier, has announced its featured brand sales for the month of October. 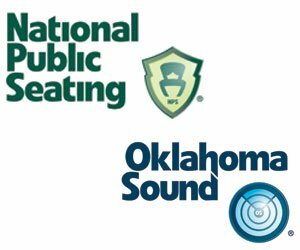 From now until the end of October 2012, customers can save 5% off best-selling banquet chairs from National Public Seating (NPS), as well as 10% off select OSC lecterns and podiums from the Oklahoma Sound Corporation (OSC). Furthermore, customers who buy at least one featured brand item will enjoy $25 off for every $1,000 order – that's up $250 in Instant Savings. Hertz Furniture boasts a longstanding relationship with industry leaders in the furniture business, allowing it to bring premium products at competitive rates to its customers and to showcase brands it feels strongly about. The Oklahoma Sound Corporation has a longstanding partnership with Hertz Furniture and offers the full range of public speaking furniture. Likewise, NPS has enjoyed more than 15 years of partnering with Hertz Furniture, promoting its full line of industrial furniture which includes stages and risers, tables, stackable chairs, mobile science laboratories, and more. Each month, customers can visit the Hertz Furniture Featured Brand page, where they can learn about the featured sale. During October, they can browse through the extensive selection of NPS chairs (stacking 12 high), as well as OSC sound and non-sound adjustable-height lecterns. All products are delivered by 48-hour Quick Ship service and come with a 25-year warranty. The products are also available for bulk discount. "Hertz Furniture is proud to showcase many of the top-grade institutional products offered by our good friends, National Public Seating and Oklahoma Sound Corporation," says Hertz Furniture President Saul Wagner. "We are committed to offering our valued customers great savings on quality office, school and worship furniture, and we look forward to announcing our new Featured Brand each month."